You are currently browsing the daily archive for June 4, 2007. 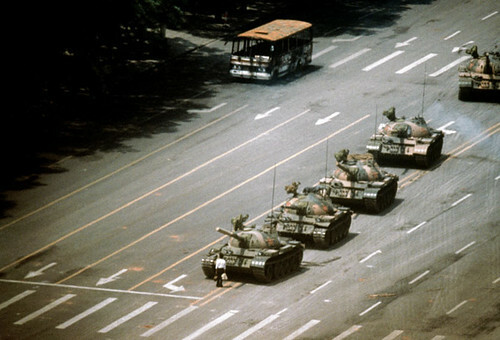 It’s hard to believe 18 years have passed since the protests at Tiananmen Square. You know how some people remember exactly where they were when they heard Kennedy was shot? Well this was like that for me. I was living in Hong Kong at the time (I spent most of my childhood there) and the news that HK would be switching back to Chinese rule in 1997 was still the current hot topic. The demonstrations happened and we watched with hope that maybe things would be ok. Then the tanks rolled in. Granted I had the benefit of knowing that I could leave at anytime but for a lot of people it signaled that if you had the chance to leave then you should do so. I spent June 4th 1989 watching tv with the extended family while an aunt tried frantically to call my cousin who was living in Beijing at the time. If you want to read up on it you can check out the wikipedia version here. Here is a news story that CNN put out last week.